This is quite worrisome. 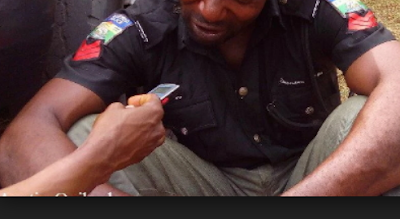 A policeman who allegedly r*ped a woman at an ATM gallery at night in a bank in Awka, Anambra State, has been arrested. 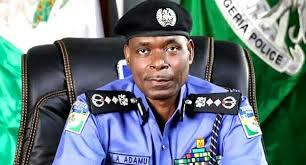 The state Police Commissioner, Rabiu Ladodo, said the suspect has been arrested and detained. CP Ladodo said the matter had been transferred to the state’s Criminal Investigation Department for proper handling. While promising that the findings of the investigation will be made public, he assured that the suspect will face necessary punishment if found guilty. It was gathered that the policeman allegedly r*ped a 35-year-old woman in a commercial bank premises in the Anambra State capital. The victim (name withheld), it was learnt, had gone to make some transactions at the ATM at night when the incident occurred. It was gathered that the said policeman, employed as security guard at the bank, had approached the lady, demanding to have s*xual inter-course with her. The woman refused the advances, until she was threatened with a gun by the suspect. “The following day, the lady came to the bank with some policemen who arrested the suspect,” a witness stated.